During the first two weeks of this month you’ll have noticed a lot more activity than from me than normal. There were Facebook Live sessions on my business page, online workshops, Q&A sessions – and a lot of emails. You may even have noticed me popping up on your Facebook newsfeed much more than usual. In fact if I got it right it might have felt a bit like I was “everywhere” for a couple of weeks. That’s because for first two weeks of the month I was in promotion for the Business from the Heart Community Membership – in other words I was “launching”. I’ve been launching programmes since almost the very beginning of my business – since before I even knew that’s what I was doing! But I realised last week in all the flurry that even though I’ve built my business on launches, and do a lot of work on them with my private clients, it’s not something I’ve written about before. So fresh out of a launch feels like the perfect time to do that! Before I go any further, I should define that word “launch” because I do think it’s a confusing term. You see, in the “real world” a product launch usually involves launching a brand new product – and that’s how most people tend to think of it. But in the online marketing world a launch is when a product is made available to a market, but this isn’t necessarily a new product – for example I’ve been launching the same online programme every year for 7 years. So a launch to me is any time that a product or programme is made available for a defined, limited period of time, and then closed again and made unavailable until it next opens. I’ve been launching programmes and products ever since the very beginning of my business – except I had no idea that’s what I was doing! When I sold my first online programme I introduced the programme to the world at a live speaking event, then followed that up with a webinar to the same audience plus my own very small email list. I did 2 speaking engagements and 2 webinars. in August, signed up 20 people to my “pilot” course. The course had a deadline to buy, and 5 weeks later I ran the course. (I don’t recommend such a big gap between launch and delivery by the way). So I had just launched – even though I’d never even heard of the concept. Since then I’ve gone on to run my entire business via a launch model. Over the years I’ve created and launched 3 different online courses or trainings, one of them annually, a high-end mentoring group programme and now a membership community – and all of them I’ve sold through launches. I also enrol my private 121 clients this way. I have a lot to say about launching – as I write I realise I could probably write a book about it! Instead I’m going to start by just sharing a few key points that I think would be useful – especially if you’ve been wondering if launching would be a good idea for you and your business. First and foremost the launch model is about making sales, and a lot of people see it solely that way. They do it because they believe it’s the best way to maximise sales into their business. And considering whether this business model works for you should be a large part of how you decide whether launching is for you – rather than just considering it’s impact on your sales. Let me start by telling you why I’m such a fan of this model. It suits my “all or nothing” personality. I love to hyper focus and throw myself into something and be all consumed by it for a period of time. And that’s what it’s like, both during a launch but in the lead up to one. I’ve always been this way, it’s just how I’m programmed. I was the same when I had a job and would throw myself into specific projects to the exclusion of all else, and the same when I trained as a yoga teacher and spent 6 hours a day every day practicing yoga. Balance isn’t something that comes easily to my personality and because of that it suits me to be “all on” or “all off” with something. I really love that I get all my sales done in one concerted period of time. For a period of 4 years I did all of my sales for the entire year during just September and November. This meant that during the rest of the year I had times when I could take things a lot slower, and focus on client delivery, and take time for me without constantly worrying about whether I’d make the sales I needed each month. I used to suffer from ME/CFS and I was very debilitated for many years. I’ve recovered now but my system is still very delicate and I don’t do stress and overwhelm very well. Separating all my sales activity into short bursts each year works really well for me as I feel it helps reduce the number of things on my plate during the rest of the year (thought let me not deceive you, launching does come with it’s own stress and overwhelm – but it it’s concentrated into short bursts of a few weeks at a time which overall I find easier to handle). It allows me to focus fully on delivery. Once a launch closes I get to turn my attention to the people going through the programmes. Not fully, because I’ve still got a whole business to run, but it does mean that my attention isn’t scattered and spread thinly between too many different activities. It helps me get results for people – and does this particularly well for an online course. I launch the course, work really hard to get people enrolled, then close the doors and take everyone through the programme all at the same time, with Q&A calls to support the course content. It’s great for creating a sense of community – and it’s great for actually helping people get results because people are engaged and feel they are “part” of something. However for a lot of the reasons above, launching is definitely not for everyone. It is really intense for a period of at least several weeks each time. My family and friends are used to it now – they know that during a launch I’m not available for anything else during that period (though earlier this year I did take a day off to go to a close friends wedding in the middle of a launch). There are a lot of moving parts – even if it’s just an internal launch to my own mailing list there are videos, landing pages, webinars, email sequences, sales pages, products, shopping carts welcome sequences. Everything has a tight deadline and a lot of things need switching on and off at very specific times. It’s a huge amount of work to do on your own. And it’s a huge amount of work even with a team as it requires a lot of co-ordination. It takes focus, and sometimes very long hours. I see people writing about how to do “easy launches” but the thing about launches is that very nature of them is that everything is urgent. If there is a big glitch with your sales page, or your email system goes down the night before a key webinar you don’t have the luxury of sorting it out in a few days time. It has to be done now – and if that means a late night that’s what has to happen. This sort of intensity is not for everyone and alot of mums of young children opt out of following a launch model because it can be hard to juggle around family life. Now in theory it doesn’t follow that it has to be hard, especially if you are really well planned in advance. But I’ve personaly never yet managed to be so well organised so far in advance that it’s just “smooth and easy”! Depending on what you sell, and how you feel about what you sell you it may not feel appropriate about to only make it available to people at certain times of the year. For example if you are selling hypnobirthing to expectant mums it won’t work to follow a launch model – your customers need you when they are pregnant, not 6 months later when you decide to open for enrolment but they’ve already had the baby. It’s also an emotional rollercoaster and takes a lot of resilience. It’s stressful because you have so much riding on it. What if you get ill during a launch and don’t do a good job? Or your internet crashes out in the middle of your biggest webinar? Yes, of course you can still do things to save it, and you can put another offer out to your audience instead. But the feeling is still that “all the eggs are in one basket” and that can be stressful. It’s also scary. I always enter into a launch wondering “what if it doesn’t work this time? What if nobody buys?”. It feels hugely exposing to put myself out like that with no idea what the response will be. I used to think that was just me, but my business mentor who has run multiple million dollar launches says he feels exactly the same – so launching takes a certain amount of resilience. This is why for every person who runs a launch model, there is someone else who runs a model where their product is available to purchase all the time. However, as a sales expert I am a big believer that people need a good reason to buy. Whether you agree with it or not, it’s basic human psychology and we all do it. Most of us have a natural tendency to put off decisions, to think about things intending to come back to them later. If a decision doesn’t feel urgent we often don’t make it at all – even if that decision could have a huge impact on our life and business. And this can make getting customers for our programmes “off the fence” really challenging and a clear deadline really does help with that. For that reason I’m not a fan of just leaving your programmes sitting on your website all year round hoping that people will buy – some people will, but likely not in the numbers that you need. 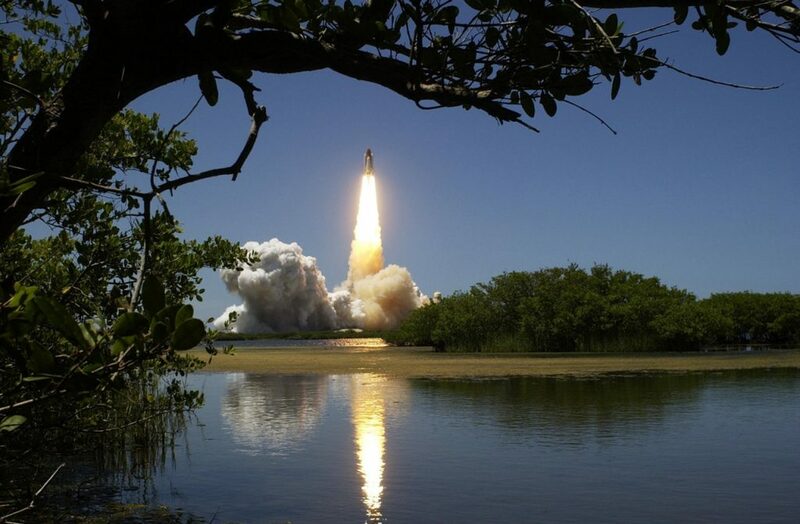 If big launches aren’t right for you a good halfway house is to adapt a launch model so that instead of one big launch 1-3 times a year you do multiple mini-launches throughout the year. This is what many of my clients with children do as it can be easier to manage your time and energy, and it’s less stressful because you have less riding on each launch. This would be my big warning about launching. It’s easy to look at a launch model and think “oh, great, so I can just market my business once a year” but that would be dangerous thinking. Like I said at the beginning a launch is about making sales – you open for enrolment, you do a lot of activity in the lead up to and during the enrolment period and then you close again. All of this is focused on encouraging people to make a decision to actually buy from you. But you need to have those people in what I call your “orbits” first, so you have people available to launch “to”. There will of course be people who come across you for the first time during your launch and buy from you, but you will find it SO MUCH easier to make sales during your launch if those people already know, like and trust you. So your marketing needs to be a year round thing. The biggest mistake I see people make is when they decide to launch their first online course, membership or workshop they are effectively trying to launch to the ether – instead of building a community of interested people first and then launching to that group. If you are thinking of running a launch for the first time, the most important piece of advice I can give you is don’t try and do it perfectly from the get go. There is simply too much work involved in doing it “perfectly” and you will burn yourself out trying. Instead start with baby steps. As I said above my first “launch” was a couple of live speaking engagements and a couple of webinars. That webinar consisted of a couple of email invitations and a couple of follow up emails including a recording. I didn’t have a sales page, just a booking page with a list of the course modules and a Paypal button! Then every year that I’ve launched since I’ve added something new or improved and upgraded what I’m doing. 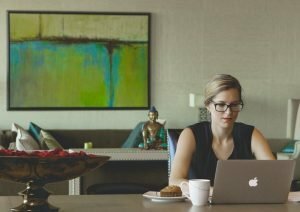 I’ve now got quite an elaborate system that involves nice branding, a Facebook live video series, a series of emails designed to maximise webinar attendance, a webinar, a series of emails about the early bird bonuses closing, another series that the cart is closing, a longer cart open period, live video testimonials, a Q&A and a beautifully designed fully detailed sales page. But I didn’t have all that together to start with – and you don’t need it either. Start simple and refine it over time. You don’t need an elaborate launch with all the bells and whistles – those things can develop over time. While I’m here, I just have to bust this myth that launching is just for online or group programmes – that’s not the case at all. What if you like the sound of doing all your sales activity in just one burst once or twice a year, but you love working 121 with your clients? Well you can totally do that with a launch model! For the past few years I’ve enrolled all my private clients for the year at the end of November. I’m then fully booked and don’t need to put any more focus on it for another year – I’m free to focus on working with those clients. You can totally do the same – follow a launch model to fill all of your 121 client spaces for the next 6 months, then repeat 6 months later. There are lots of people out there teaching launch models – Jeff Walkers Product Launch Formula is the most famous. I love Jeff and what he teaches and have read his book, but I haven’t bought his programme and I don’t follow his model. Instead I’ve found my own way of launching that works for me. It’s not that I’ve created anything special, it’s just the launch model that works for me. The lesson here is that there is no “one way” to launch and you can totally create a launch model that works for you and works for your clients. The key thing about a launch is that you open enrolment on one day, and close it on another day. How long that window is, what activity you do to warm up your audience in the lead up to the launch, how you actually sell to your audience, the activity that happens during the enrolment period, how many moving parts you have, that’s all up to you. Will I always make my programmes and products available this way? I don’t know. It definitely works really well for me for selling my group online programme and I doubt I would change that. 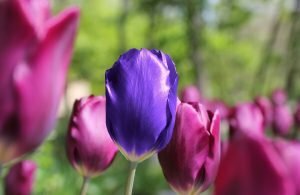 With the membership community the pros and cons are less distinct and I may experiment with doing that differently at some point in the future – but for now this model works for me. What about you? Do you follow a launch model or are your programmes or services available all year round? Has it got you you thinking about launching in a different way, or helped you decide if launching could be right for you? I always love to hear from you so please let me know in the comments below. Would you like my help with your launches? Due to my focus on the Business from the Heart Membership Community, this year I am taking on just 2 private clients to work with during the first half of 2019. 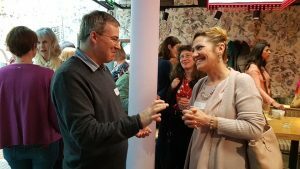 If you’d like my help planning and running your own launches – or any other aspect of growing your business please click here to find out more and apply. Fantastic advice Catherine. As always your honesty and integrity shine through. Thank for drawing back the curtain and sharing the upsides and downsides of launching. It’s super helpful advice for making that choice – now at least I can do it with my eyes wide open!